These are only some of the photos and videos that people sent us through the years. You too can get involved. Here’s what happening right now! International Nurses Day is almost here! Join our campaign to #CelebrateNurses. Use #CelebrateNurses to send messages of thanks on social media. We’ll be out and about around Trinity College between 10:00 am and 12:00 pm on 12th May and at Temple Bar from 12:00 pm to 2:00 pm so if you see any of us with #CelebrateNurses banners, stop by and leave a message of appreciation for our nurses. If you’re on Twitter, update your display picture to include our Twibbon to show your support. It’s International Nurses Week! Join our campaign to #CelebrateNurses. Use #CelebrateNurses to send messages of thanks on social media. 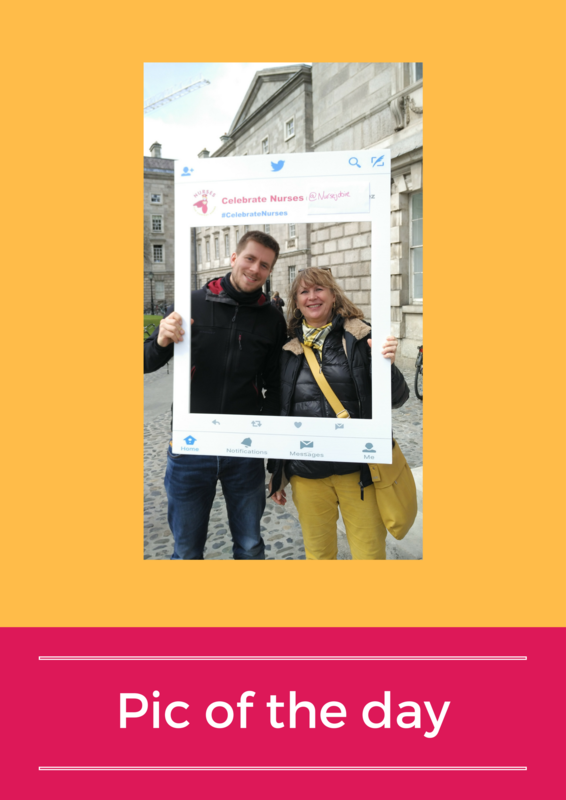 We’ll be out and about around Trinity College between 10:00 am and 12:00 pm on 12th May and at Temple Bar from 12:00 pm to 2:00 pm so if you see any of us with #CelebrateNurses banners, stop by and leave a message of appreciation for our nurses. If you’re on Twitter, update your display picture to include our Twibbon to show your support. Here’s a video for a very special nurse who has made a difference in Pamela’s life. Is there a nurse you’d like to thank? Send us a video on hello@nursejobireland.com and we’ll put it up for you. We met these two lads on one of our first days out and they were what inspired out language videos. We had people sending in videos from all over the world, thanking nurses. You can find them on our YouTube Channel. 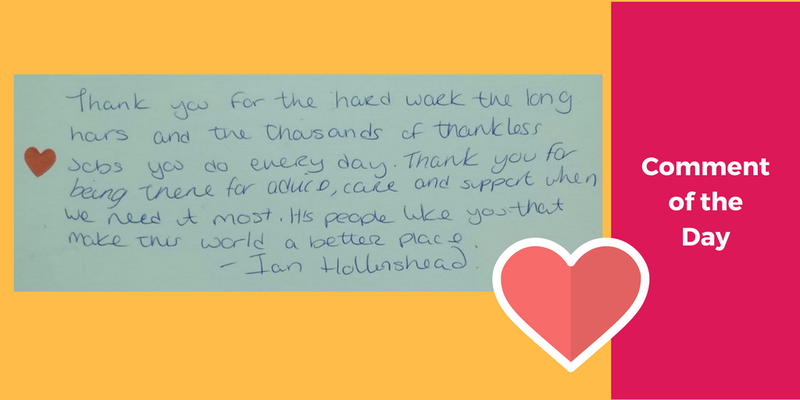 Here’s a message from a midwife in training for other midwives in training. Are you a nurse or a midwife? Tell us why you choose this career. We met a lovely German family on holiday, soaking in the sun (yes, there really was some sun) at Trinity College. Thanks for the picture and the words of thanks! 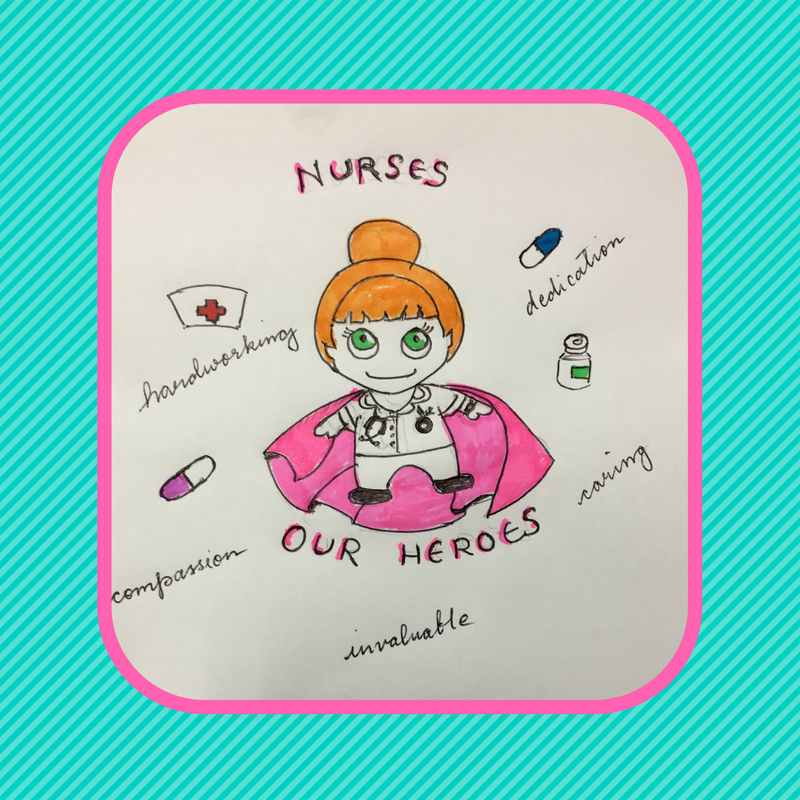 Celebrating Nurses Around the World! Our very own 3Q Baby Lottie getting involved! We have been to Temple Street! Beaumont Hospital has been doing a great job! Is there a nurse you would like to thank? Here’s how we celebrated nurses last year and the year before that.